Welcome to the third part of our series about measuring content marketing KPIs. If you need a general introduction to content marketing KPIs and why they’re worth measuring, check out the first part of our series where we introduce the topic and give you an overview of different KPI groups that come in handy for content marketers. 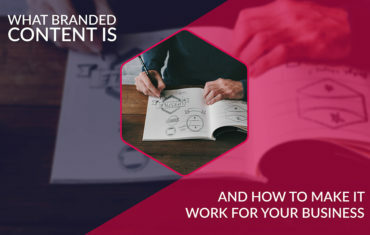 If you don’t need convincing that content marketing requires measuring, have a look at the second part of our series where we discuss in detail the things you need to consider when picking your content marketing KPIs. There is no denying that content marketing and SEO go hand in hand today. If you want to be successful in search engines, you simply need great content. But SEO is about much more than that. SEO includes tactics like link building, earning rankings, educating and converting users. That’s why understanding the connection between SEO and content marketing is so crucial to your strategy. But success doesn’t just come in the form of one metric. To analyze and understand the impact of your content marketing efforts in SEO, you need to take into account the key metrics that apply to your campaigns and business model. 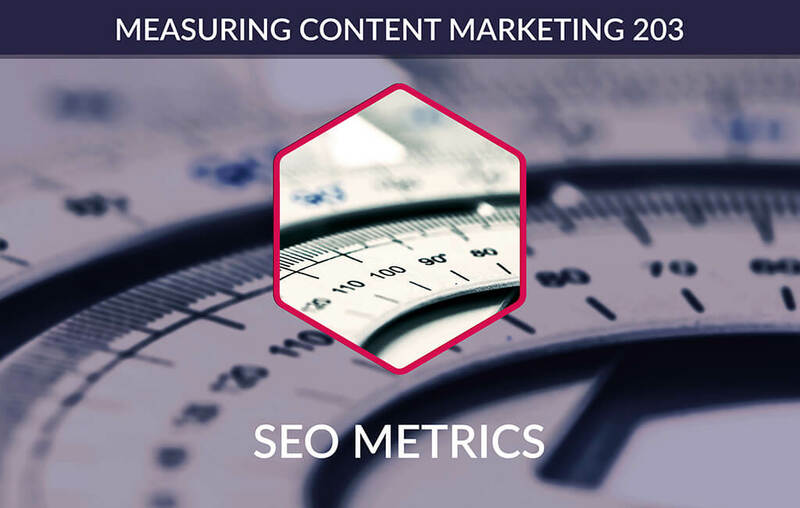 Here are some of the most common SEO metrics you need to measure for your content marketing strategy. Many SEO professionals consider obtaining links as the primary goal of content marketing. Links are among Google’s top three ranking factors. 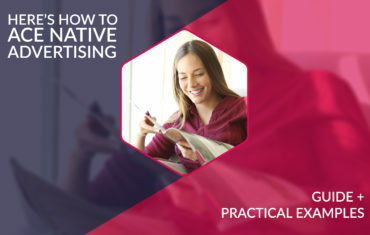 The best way to get other sites to include high-quality and relevant links to yours is creating unique content that gains popularity among your target audience. But links are much more than that. Don’t forget that taking part in link schemes and investing in paid links, using keyword-rich text, using automated services to create links or participating in link exchanges will all put your efforts at risk. To make it in the SEO world, you need to earn links. And the best way to earn links is by creating fantastic content. That’s why links are one of the critical SEO metrics for content marketing. Now, what matters when it comes to links is not their volume but quality. But how can you track links to your content and gain a better idea about the quality? There are many tools you can use to do that – for example, Google Search Console, SEMrush Backlink Audit or Analytics, Moz’s Link Explorer, or Majestic. To get a comprehensive link profile, it’s a good idea to use several link indexing tools. Not every tool will index each of your links so using a couple of them boosts your chances of accessing a more accurate view of the bigger picture and a holistic approach to profile analysis. Google Search Console is a free tool, and it doesn’t offer the same metrics as the paid SEO tools do. Most of the time, one free solution isn’t enough to tell you about the relevance and authority of these links. That’s why it’s a good idea to invest in at least one professional tool that helps you understand your link profile better and identify other SEO metrics you should be measuring. Let’s say you want to earn more organic search traffic from a piece of content. If you want your content to be seen, it needs to have a higher rank in the search engines. That alone makes rankings an important SEO metric. Seasoned SEO experts know that placing a strong emphasis on rankings alone is a mistake. Many factors impact the ranking position of a search term – for example, personalized search, ad space, or position zero. It’s not easy to accurately track the ranking position of a given search term. So why are rankings important? On their own, rankings are meaningless unless you combine them with other metrics such as impressions, organic traffic, or click-through rate (CTR). That’s why you need to know how to determine search queries and their associated ranking positions. How to do that? One way to go is investing in rank tracking tools such as Search Metrics or SEMrush Position Tracking Tool. However, you can get the metrics you need from the free Google Search Console as well. To get it, have a look at Status and then click on Performance. You can then filter your results using different options. Choose Page and then enter the URL. The tool will give you the queries under which it has received impressions. If you click on a query, you’ll see the average position on the site over the timeframe you’ve selected in your filters. The ranking position coupled with other metrics offers compelling insights into how your website is performing in search engines. Another important metric you should be measuring is the organic search traffic your content attracts. It’s basically the number of people who interact with your content and who you could potentially convert into customers. It’s a good idea to track organic search traffic over time and always compare it to previous periods, considering how you can improve it when going forward with your content marketing strategy. If you combine that metric with search query data, you will get powerful insights to support your strategic decisions. Identifying organic search traffic is quite easy. All you need is Google Analytics and Google Search Console. First, you need to understand how organic search traffic to a given piece of content compares to other channels such as social, referral, or paid search. Access Google Analytics and navigate to Behavior > Site content > All pages. From there, you will be able to see across the site as a whole and check the top-performing pages or run a search for specific URL. 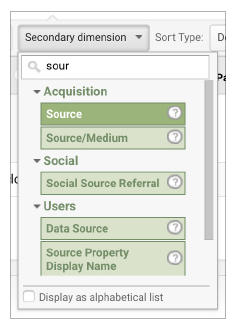 Select the page you want to analyze and pick a secondary dimension: Source. You will be able to see traffic by source over the selected timeframe. What’s important here is that you get to see how organic search is performing against other channels. If you choose a secondary dimension of Source/Medium you’ll get to compare organic search traffic against different search engines such as Google, Bing, or Yahoo. When measuring organic search traffic, all you get to learn is how much traffic your site receives through organic search – but not the search queries it came from, the potential search traffic, or your organic CTR. It’s only in-depth data related to specific queries that help to make informed decisions about your content marketing strategy. In general, you can use that data to discover new opportunities. For example, if your site has a high number of impressions but a low number of clicks (as a result of poor CTR), you should be focusing on improving your CTR. If your site gets few impressions but a high CTR, you may consider researching other keywords to optimize your content and increase impressions. 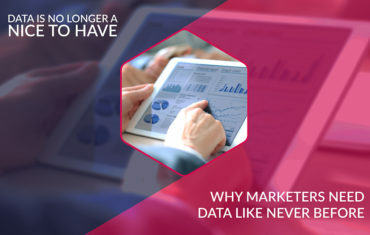 Collecting all of that data allows making informed decisions and taking action on the basis of what you actually need – not simply upon the traffic alone. By analyzing these metrics, you’ll get new opportunities, gain a better understanding of how users are engaging with your ranking results and clicks being driven. But how do you collect this data? It’s time to return to Google Search Console and return to the filter we applied to see ranking position metrics. Go to Status and Performance. You can filter results with + New. Choose Page and filters via specific URL. Once you have the URL, you will see all the inquiries combined with data for impressions, clicks, and organic CTR. If you use other tools such as Bing Webmaster Tools, you can run a search keywords report to see which search terms are driving impressions and clicks from both Bing and Yahoo. Most SEO campaigns aim to drive conversions from visitors. It can be hard conversions like a purchase or soft conversions such as email sign-ups from a blog. It’s critical that you track organic conversion rates to understand whether your strategy is working. That metric shows you the percentage of visitors who take a predefined action against a goal established by you. First, you need to know what exactly you are tracking and conversion. Hopefully, you’ve already set tracking goals in Google Analytics. You may be monitoring sales, leads, email sign-ups, or time users spend on the page. If you have all of them set up in Analytics, you can identify the organic conversion rate of a page easily. You can see the page for which you want to track the conversion rate by following Acquisition > All traffic > Channels > Organic search. You can then have a closer look by landing page. Just choose a goal for which you want to see data, and you’ll get a combined look. If you haven’t set up your goals yet, you need to start thinking about them right now. Google has been using page speed as a ranking factor for a while now, but don’t make the common mistake of confusing it with site speed. Site speed is the speed for a sample of pages on the site. Page speed, on the other hand, is either the page load speed or the time to the first byte of a specific page. The better page speed results and the better the user experience, the higher Google’s reward as a ranking factor. Slow page speed means that search engines get to crawl fewer pages using the allocated crawl budget. Google offers PageSpeed Insights Tool that helps to understand page speed. Run the URL through the tool, and you’ll get statistics across both mobile and desktop. The tool also offers suggestions to help you optimize page performance and speed. Google is moving to a mobile-first index, so understanding and tracking how your content is performing in mobile search is more important than ever. You can do that by accessing Google Search Console. Go to Status and Performance. Choose Page through the filter and then filter through the specific URL. From there, you can select +NEW and click Device. You can then see mobile, tablet, and desktop data – or compare two of these. Once you’ve filtered all of these results, you’ll be able to see device-specific average ranking position at the search query level as well as statistics that include total impressions, average CTR, and total clicks. SEO metrics are critical to the success of your content marketing campaign. If you fail to pay attention to SEO, your content will never bloom to its full potential. You’ll be missing out on potential conversions and valuable traffic. But SEO metrics are just one group of KPIs you should consider when running content marketing campaigns. Stay tuned for the next parts of this series where we take a closer look at each of the four essential groups of KPIs all marketers need to measure. Do you have any questions about measuring SEO metrics? Give us a shoutout in the comments; we have ample experience in providing SEO services for companies and know how to make the most of the analytics tools available on the market.